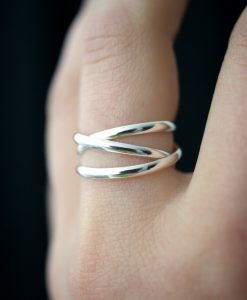 This ring is one of my absolute favorites! 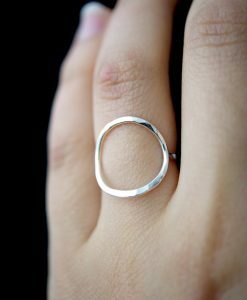 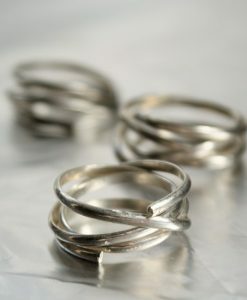 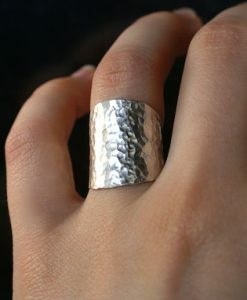 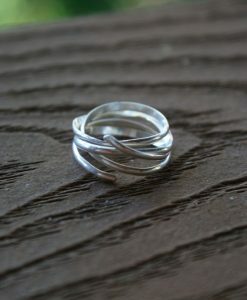 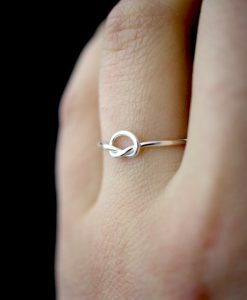 I twist a length of pure sterling silver into a spiral shape and gently hammer it. 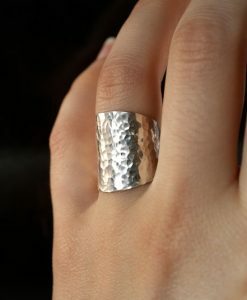 The hammered effect adds lots of shine and sparkle, so even through the metal itself is very light and feminine, the ring has a big impact overall. 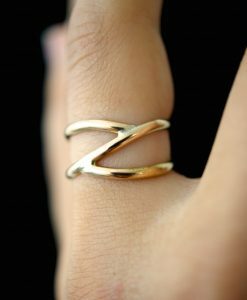 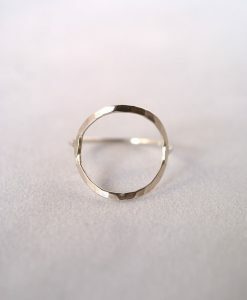 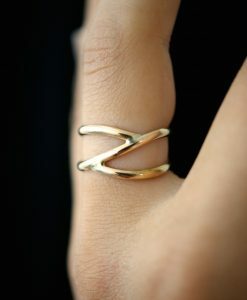 This ring has a wonderful sophisticated, rich feeling to it, although the design is very playful. 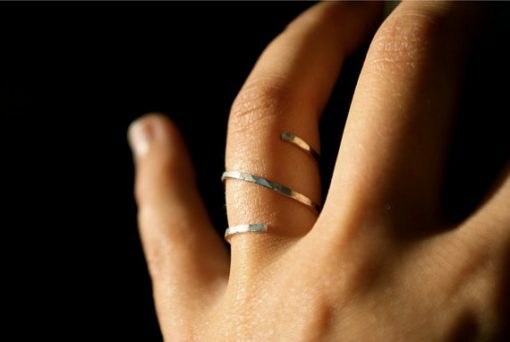 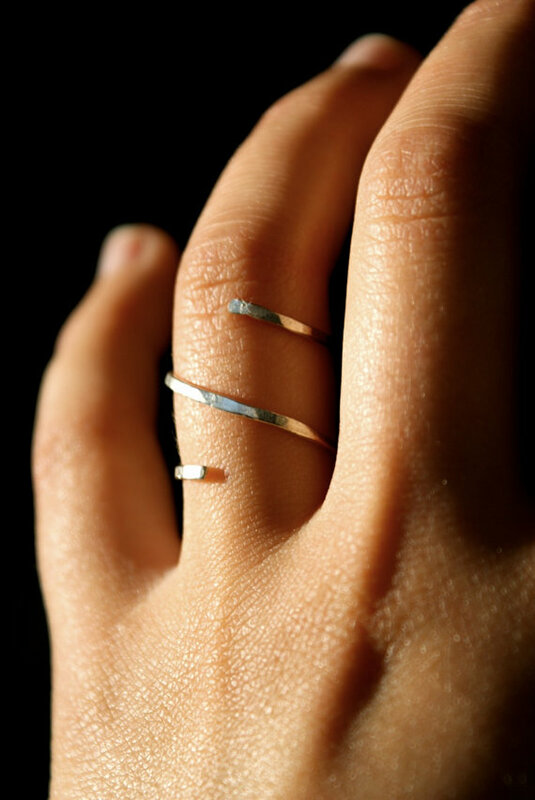 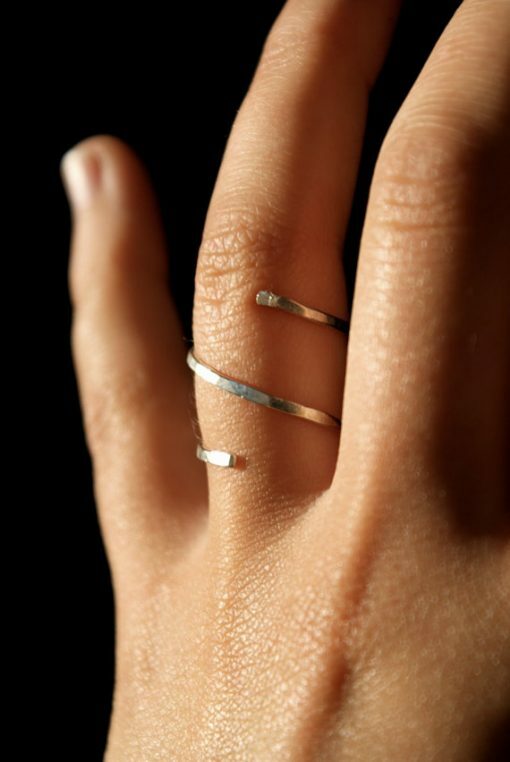 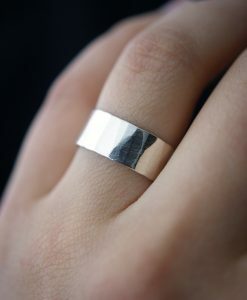 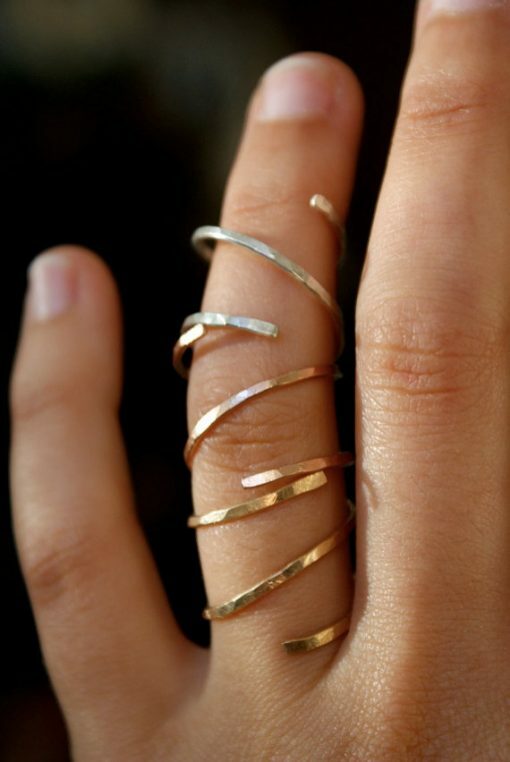 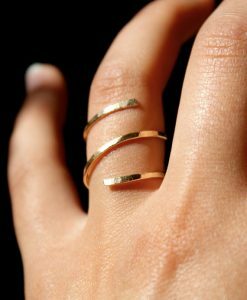 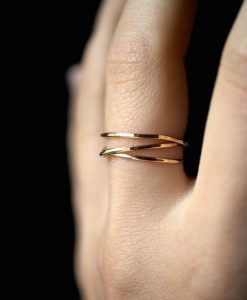 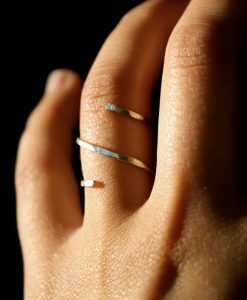 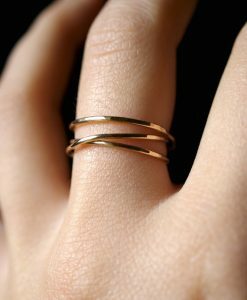 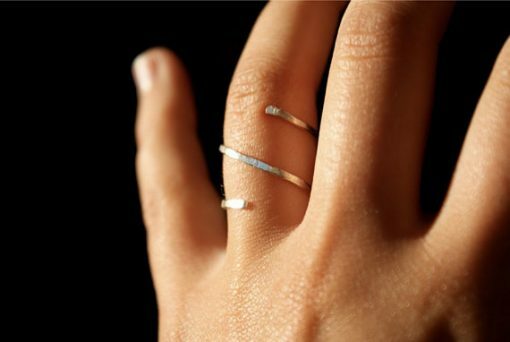 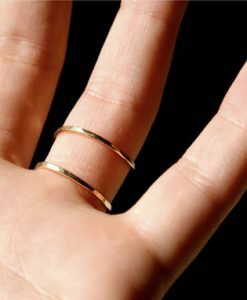 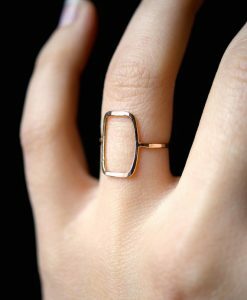 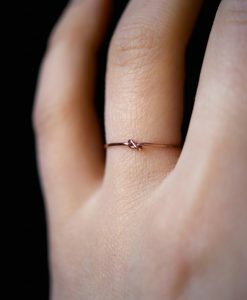 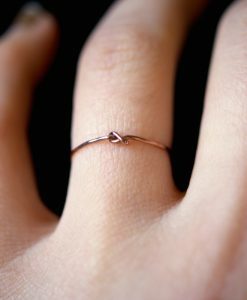 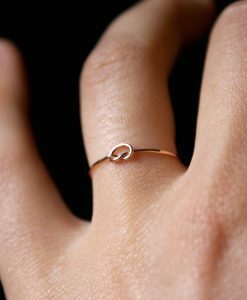 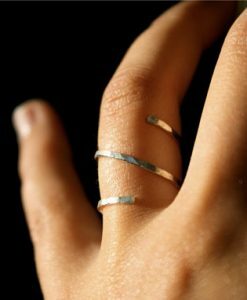 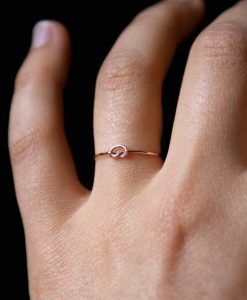 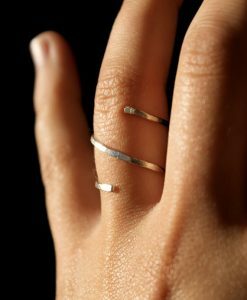 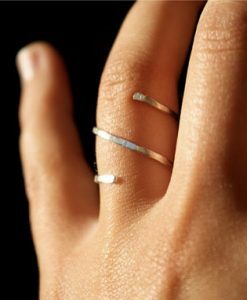 It also looks amazing paired with other rings on your hand. 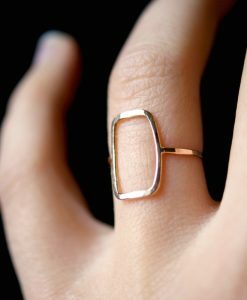 The design is very comfortable as well. 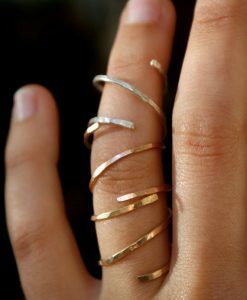 For clarification the last photo is of all three available colors (sold separately): gold, pink gold, and silver.